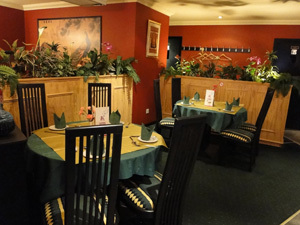 Serving Pekinese and Cantonese style cuisine in Forfar since 1988. A family owned Chinese Restaurant and Take-Away located in the town centre of Forfar which is 14 miles north of Dundee on the A90. Golden Dragon Forfar Chinese Restaurant. 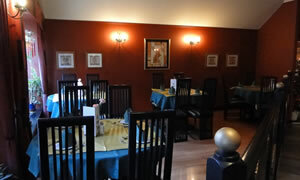 The Golden Dragon is a Licensed Chinese restaurant that servers a Pekinese and Cantonese style cuisine in Forfar. Establish in 1988 it has had visitors such as the famous Scottish comedian Billy Connolly. The restaurant seats 55 people and has a licensed bar. There are two car parks near by which are short 2-4 mins walking distance from the restuarant. We also recommend making Reservations and Bookings at weekends as we are often quite busy. The Golden Dragon Opening Times. The Management has the right to refuse entry or service.